Easton is historically significant and aesthetically pleasing. Most importantly, Easton is our home. What better way to capture the contentment of home than in a quilt. In today’s fast-paced world, Easton has a very strong sense of community and family. 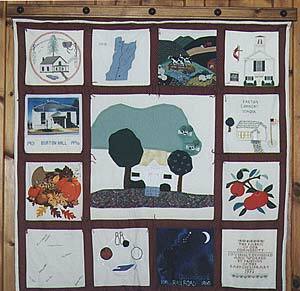 This quilt is an indication of how several different people can work together to achieve the desired results.